Where: Venmo Transfer to Bank History? If you use the Venmo app to send and receive money with friends, you may be looking for your transfer to bank history inside the app. Since it typically takes 1-3 days for Venmo bank transfers to complete, you may sometimes forget whether you actually withdrew money from Venmo. 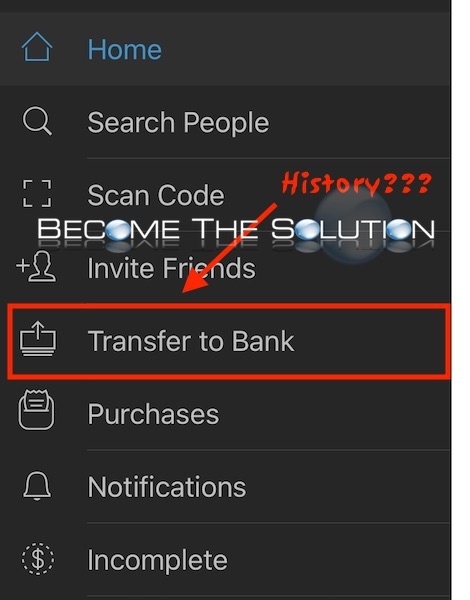 At this time, the Venmo app does not allow you to view transfer to bank history inside the app. However, you can quickly view transfer to bank history by logging into Venmo online using your mobile device or desktop computer. Go to Venmo.com and sign in your Venmo account. Change your Statement to the dates you want to view. Usually, selecting past 30 days will show you most recent transaction. Scroll to the bottom to find latest activity. Look for Transfer to Bank line items to find recent bank transactions. That’s it! Now you can check your Venmo transfer to bank history online!